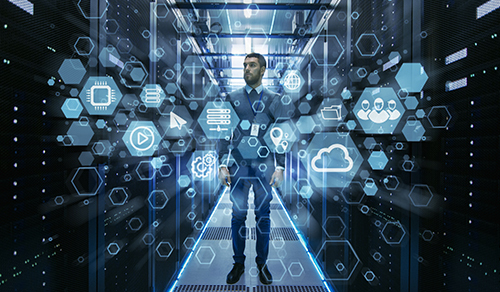 Entrepreneurs and CIOs are likely already aware of the myriad benefits of moving some or all of their digital operations to the cloud. It’s a great way of facilitating remote working for your employees, a cost-efficient way of managing your IT infrastructure, and a neat way of sidestepping logistical difficulties and downtime when it comes to upgrading. However, hiring an in-house cloud infrastructure architect can be costly and inefficient. At Field Engineer, we believe in giving our customers access to a wide array of talent without unnecessary overheads that can leach away at an SME’s cash flow. With a team of over 40,000 skilled and eminently qualified freelance engineers in and around over 180 countries Field Engineer have invested in a robust infrastructure… So you don’t have to. Thanks to our user-friendly platform you can post jobs on and as-and-when basis and have qualified engineers respond to you in real time. We’ll take the legwork out of finding a highly capable freelancer who’s ideally suited to your needs. Whether you’re looking for someone to build your cloud infrastructure from scratch or someone to upgrade or maintain it, we have the pool of talent to fit your needs. You already know the benefits of incorporating the cloud into your IT infrastructure. Why wait to start enjoying them? Sign up to Field Engineer today and you can start posting jobs straight away. An enormous pool of talent is just waiting to hear from you!